When i started using windows on my macbook via bootcamp i was irritated by the fact that the mac osx drive/partition was not even visible from windows. However, windows partition was visible in mac osx (leopard 10.5 in my case) but that too was only readable if the format of the windows drive would be ntfs, and read and writeable only on fat32 file system on windows. 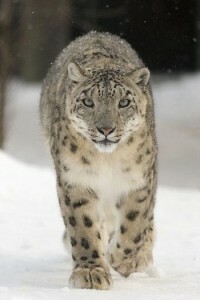 I installed mac OS X snow leopard 10.6. And when i was browsing my windows operating system (windows seven in my case) i was amazed by the fact that the mac drive was being shown there! So, whats the fix then? well, definitely not just installing snow leopard 10.6! the easier thing to be done is, to install the new boot camp drivers for your windows installation! and it will show the drive and give read write access to it in your windows installation(windows seven in my case, but should work for vista and xp too).